When I was growing up, the one thing I remember we always had in our house was a bread box. So, naturally, when I moved out and acquired a home of my own, I immediatly bought this breadbox. Yes, this ACTUAL bread box! That would make this breadbox over 18 years-old! As far as bread boxes go it was typical, a wooden box and that was it. No color, no style. For years I thought of doing away with a bread box all together. It took up a lot of counter space and it was nothing special, but where would I put the bread? 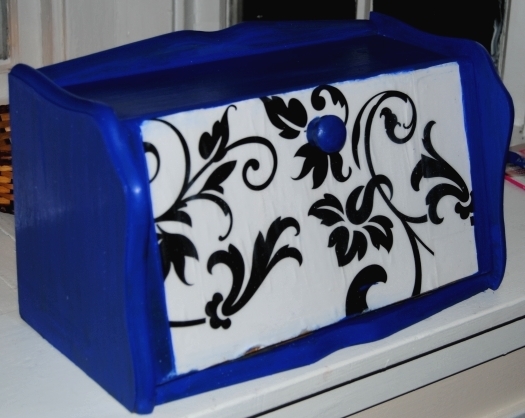 When I started experimenting with Mod Podge and decoupage, This bread box was on my to do list. 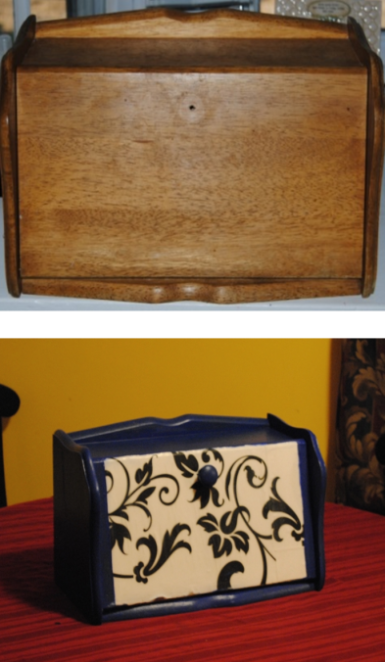 Many projects have come and gone and it was finally time to decoupage the box!